The spiritual life consists of many virtues and activities — earnest prayer, scripture study, love of fellowman, caring service — to name a few. Undergirding all, it seems, is attitude toward God. The author offers sound advice on the compelling reasons as well as on the “how-to.” One reason is that there is no way to go around this life — we have to go through it. As with the Prophet Joseph, “all these things shall give thee experience, and shall be for thy good” — they signify that the Lord finds us worthy, at least potentially, of his tutorial care, which may include some custom-made trials. But there is a glorious promise for those who “endure well” — no less than eternal life, God's greatest gift. 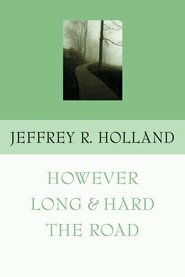 In this superbly creative style the author explores this important principle of willing, loving submission to our Heavenly Father. He clearly shows this to be not a sacrifice of will but an elevation to a higher purpose and privilege. As such, it offers a life of faith, peace, and joy in the Lord. Elder Neal A. Maxwell was called as an assistant on the Council of the Twelve in 1974. From 1976 to 1981 he served as a member of the Presidency of the First Quorum of the Seventy, and in 1981 he was called to the position as a member of the Quorum of the Twelve Apostles. Elder Maxwell passed away in July of 2004. Neal Maxwell's works have aged well (perhaps especially this timeless little work on the ever rare subject of being humble and submissive). If the quote above is worth something to you, perhaps you should stop reading and simply order the book. The author’s humor and geniality fold profound insights into delectable bites; his wonderful weave of wit and self-depreciation make the reader feel he was “in here struggling with the rest of us." It is never pompous or provincial. To the wounded and aggrieved he offers balm and healing rest. Those more or less "full of themselves," are gently poked and prodded until their damaging lack of discrimination is deflated. 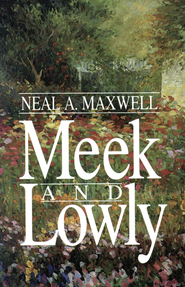 Maxwell deftly leads readers closer to Christ and each other by injecting the warm lubricant of love into the frozen cogs and springs of the ancient clockwork of repentance and forgiveness. I thought this book was one of the best I've read ever. 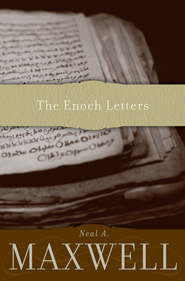 the ideas expressed in this book are easily understandable, but sometimes hard to apply. It is a thought provoking book that allows the reader to take a personal inventory of their relationship with God and how they can better that relationship through bending their will to meet God's. 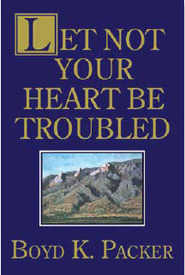 A wonderful book that I recommend to anyone who asks.